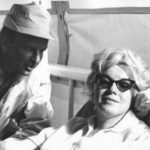 Marilyn and Frank Sinatra became friends during the making of The Misfits in 1960. Not long after arriving in Reno the cast and crew were invited to his show at Cal Neva’s Indian room. 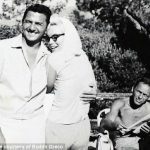 It is possible that they knew each other during her marriage to Joe DiMaggio (DiMaggio and Sinatra were friends that time) but that has not been fully established. We do know that they mixed in the same circles and the attended the same parties but were not photographed together. 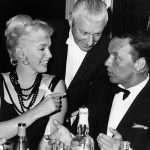 In 1953, Marilyn was contracted by Fox to appear in a movie with Sinatra called The Girl In Pink Tights. 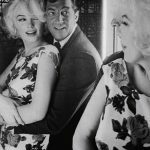 In January 1954 she failed to appear on set and was suspended by Fox. 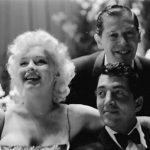 Upon hearing about her marriage to DiMaggio, Fox removed her suspension pending her attending set. 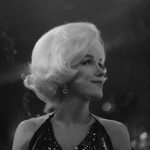 However, Marilyn didn’t like the script and refused to film which led to Fox suspending her yet again. 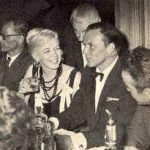 Sinatra was said to have been less than impressed at being left stranded by his leading lady. 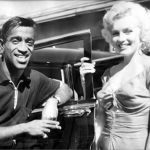 Over the years following her suspension, Marilyn’s friendships with Peter Lawford, Dean Martin, Sammy Davis Jnr strengthened and, through them, she became friendly again with Sinatra, even enjoying a brief affair that lasted a few months in the summer of 1961. 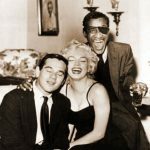 Milton Greene, Marilyn and Sammy Davis Jnr. 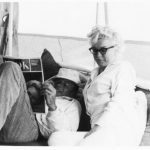 During her stay in Payne Whitney, Marilyn wrote a letter to her psychiatrist, Ralph Greenson, in which she stated: “PS: Someone when I mentioned his name you used to frown with your moustache and look up at the ceiling. Guess who? He has been (secretly) a very tender friend. I know you won’t believe this but you must trust me with my instincts. It was sort of a fling on the wing. 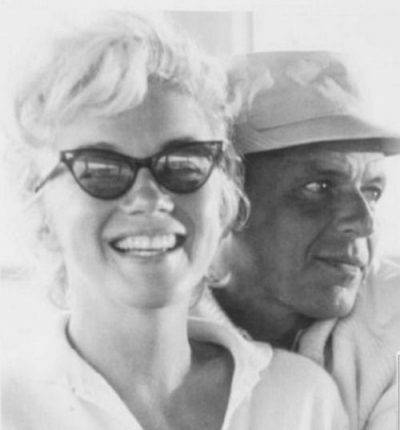 I had never done that before but now I have – but he is very unselfish in bed.” – This is now thought to be about her relationship with Sinatra. 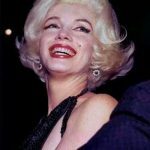 During their relationship, Sinatra gifted Marilyn with emerald and diamond earrings that she wore to the Golden Globes in 1962. 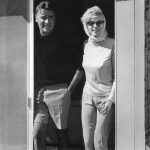 Following their split that summer, he began dating Juliette Prowse and by September 1961 had announced his enagagement to her. 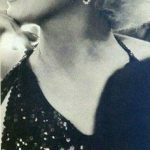 Marilyn wearing the earrings Sinatra had given to her the year before. 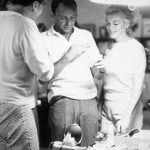 Throughout 1961 and 1962 Marilyn frequented Cal Neva Lodge which was then owned by Sinatra, attending his concerts there and in Las Vegas. 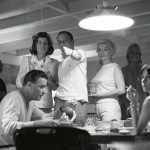 The weekend before she died, Marilyn was in Cal Neva Lodge with Sinatra and friends. 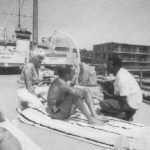 There has been speculation over the years about what went on up there but, as there is no proof of anything untoward, that is how it will remain – speculation. 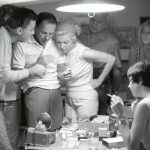 Sinatra was said to have been upset that he did not get to attend Marilyn’s funeral, however, given the entire Hollywood set were not invited, its unsurprising that he was left out too.